I love simple meals that don't take long to prepare and this recipe is definitely one of them. If you want to add more protein, eat with some crisped up bacon or high-quality ham. If you want to add some heart-healthy fats, eat with avocados. Preheat the oven to 175 °C/ 350 °F. 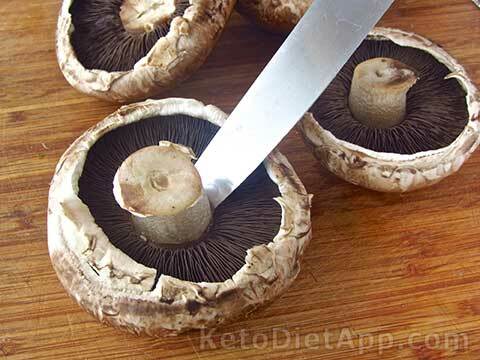 Clean the mushrooms and remove the stem. Season with salt to taste. 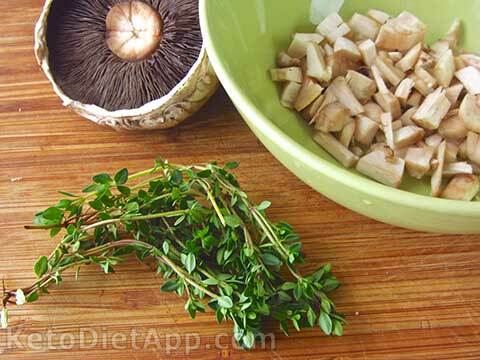 Chop the stems into small pieces and add fresh thyme leaves. 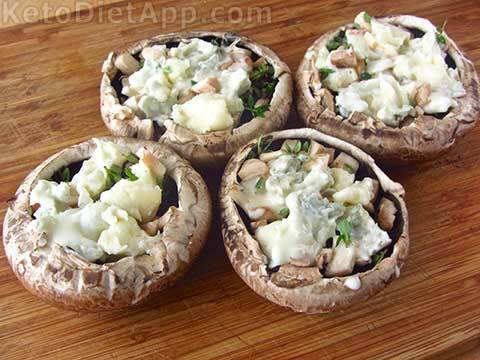 Fill each mushroom with crumbled blue cheese, chopped stems and thyme. Place in the oven for about 20-25 minutes. 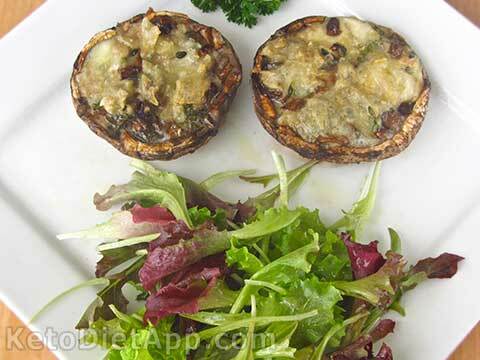 Remove from the oven and place on a serving plate with fresh greens tossed with olive oil. Enjoy! I wish you'd put a small photo in the print part of your recipes. I often end up tossing recipes after printing if I don't have a photo. They're just not as alluring. That's why I love AllRecipes.com, except there aren't many keto recipes, and NO Fat Bombs, of course. 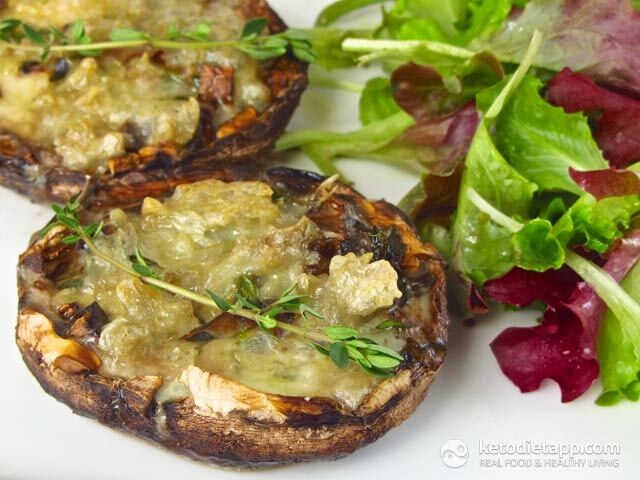 I had some portobellos that I needed to use (you know how use-or-lose is) today, and this looks perfect. Thank you so much! It looks pretty simple but yummy! I think i'll try it with feta cheese as i don't have any blue. Did the mushrooms get soggy though?